After another quarter of losses, is worst over for commodities? 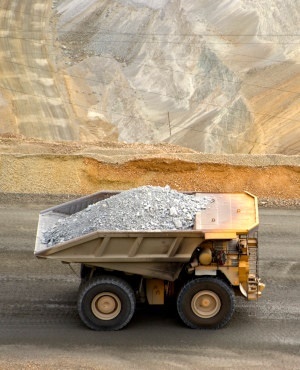 This would ensure the company was compliant with the Mining Charter, and was "likely to be underpinned by a group of high-profile black South African investors as part of a broader restructuring of the Company’s Black Empowerment Equity at operating level", Chairperson Denis Waddell said in a statement on Monday. The capital would be raised at an issue price of A$0.04 per share – a 30% premium on its last traded price on the ASX – together with one free attaching option for every two shares issued, through a placement to "sophisticated and professional investors", Orion said. Orion – which has its primary listing in Australia – on April 11 requested both the South African and Australian bourses to place an immediate trading halt on its securities, and on Monday, Orion requested to be placed in voluntary suspension from the day's trading, pending an announcement regarding its capital raising. The miner focuses on zinc, copper, nickel, gold and platinum-group metals, and in January announced that Tembo Capital mining – its largest shareholder – had extended a loan of A$3.6m to advance Orion's flagship Prieska zinc/copper project in the Northern Cape.